That’s right, I couldn’t stay away from Skyrim. And it’s down to that family news I mentioned in June. My Grandmother came home to die in the first week of July. She’d been home less than two days and the inevitable happened. Her home was/is my home, so her passing has deeply affected me. I made the discovery that Frostfall, the survival mod, is no longer on Steam Workshop for two reasons: the mod has exceeded the 100mb limit for mods on the service and its creator was being abused through it. I still have Frostfall, but it’s an old version from before September last year. It’s available elsewhere online, but I’m a bit scared about upgrading the mod and bricking my save files. If you have any advice to share on this, please let me know in the comments. 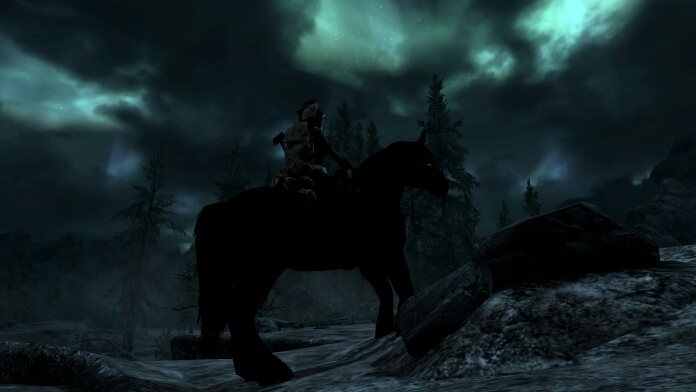 Steam Workshop and Skyrim mods are in general not playing well together at the moment. As I suggested earlier I had to go elsewhere (Nexus mods) to get functional versions of them, this was because the subscription service for many of them seems to be partially broken and not auto downloading files into the Data folder of Skyrim. I have under the 50 subscriptions that some Google searches were telling me was the limit on Steam Workshop. And I found that I wasn’t the only one having problems. It seems it’s an issue that’s been going on for several years that Valve haven’t fixed in Workshop, which is disappointing. Nexus wasn’t a fantastic solution, considering they’ve had malicious attacks made on them over the past few months and stuff doesn’t auto update like Workshop enables. I do wonder with the mess I uncovered in Workshop (other game mods outside Skyrim are being affected) whether Steam is still taking the modding community seriously. The list of mods I’ve added should hopefully indicate to you that I am heavily into crafting this time round. I’m building Lakeside Manor nail by nail, sconce by sconce. All armour and weapons I use have been crafted by me. Most of my potions are brewed by me. And I am cooking lots of things. 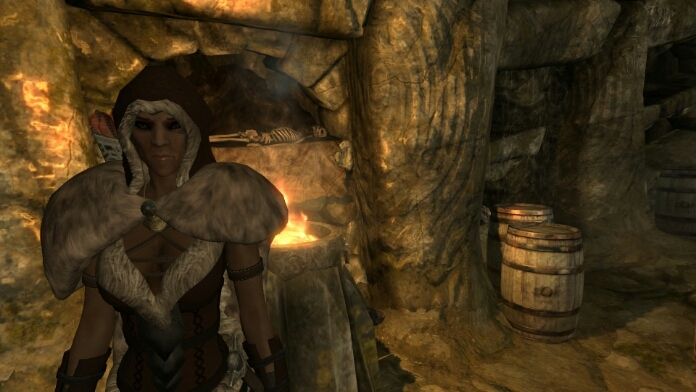 Having a crafting focused character, I’ve joined no factions (other than 10 minutes where I tried being in the Companions and then went back to a previous save), has so far meant that my adventuring has been determined by the need to find materials to make and build things. I’ve done a few quests, a tiny bit of the main so that I can get at shouts more, but that’s it. This is comfort gaming for me. Thank you for sharing this, it is an example of how it is important to find small/simple things in life that can help you during rough times, and even during good times. It is good that you found something that helps. Thanks, John, for your kind words. 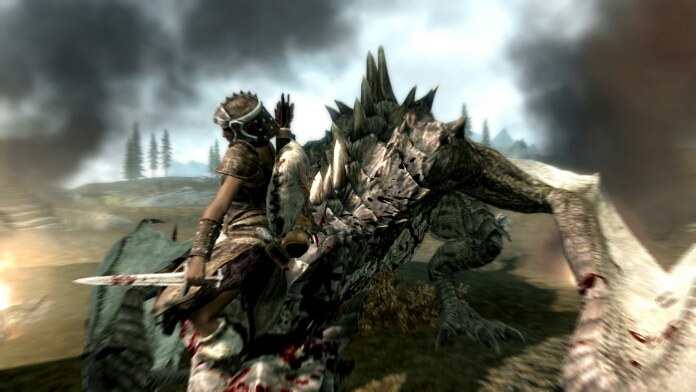 I need to try playing Skyrim again before this year ends, I briefly played it earlier this year after being inspired to play it again after watching Darnoc on YouTube play it, but he disappeared from the internet months ago so I have not played it again since then. What is your opinion(s) of The Elder Scrolls Online? I very briefly tried the beta a while back during a period when I did not feel like gaming, and so I did not get a good idea of what the game was really like and I did not play it long at all because most of my time was spent trying to download the beta and it ended before I could really play much of it; and things have gone quiet about it since its release like most people do not really care about or like it. ESO was something I tried in beta for a day, however I found it far too similar to other MMORPGs to really hold my interest (fetching quests). Its attempt to label you as “the one” who will save the world seemed ridiculous in a game that you knew would be filled with thousands of players told the same thing. So, I didn’t really like it and have not subscribed. Thank you for answering that :) , that seems to be the general sentiment/option that I expected/heard, and I did not enjoy the brief time that I played it either; and it did not really feel like The Elder Scrolls to me, and paying a monthly fee is not something that I would do. I guess we will forget/pretend that this game even happened/existed ;) ; but it seems like they possibly/probably wasted a lot of money on this game, and they even got known actors/actresses to do voice work on this game. There were definitely better ways they could have spent the development money, as you suggested. I just hope we don’t have to wait for too long before there is a sixth game in the main series.